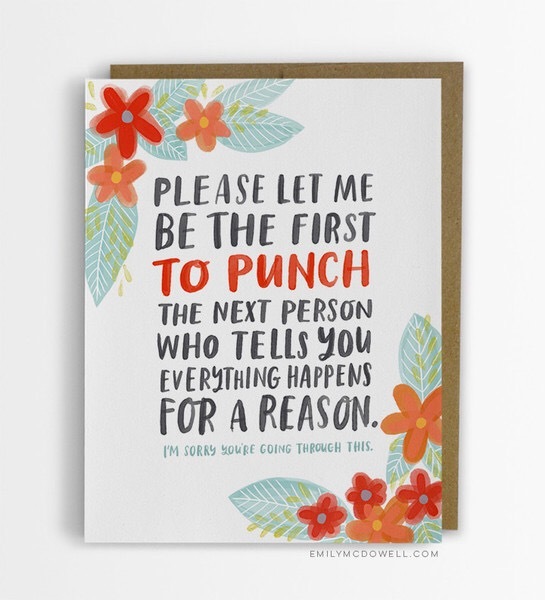 Today’s picture is one of a series of empathy cards produced by Emily McDowell, they are designed to send to people with serious or life threatening illnesses. Emily herself is a cancer survivor and these cards arise out of her experiences of people’s awkwardness around her and how there are no cards that say to someone what you really feel about the devastating nature of their illness. It is well worth reading what Emily herself says about her cards and the motivation behind them.